Kosciuszko Mound "kopiec Kosciuszki" is the most famous mound in Kraków, Poland, raised in 1820-1823. it was erected by Cracovians in memory of the great Polish National hero Tadeusz Kosciuszko. 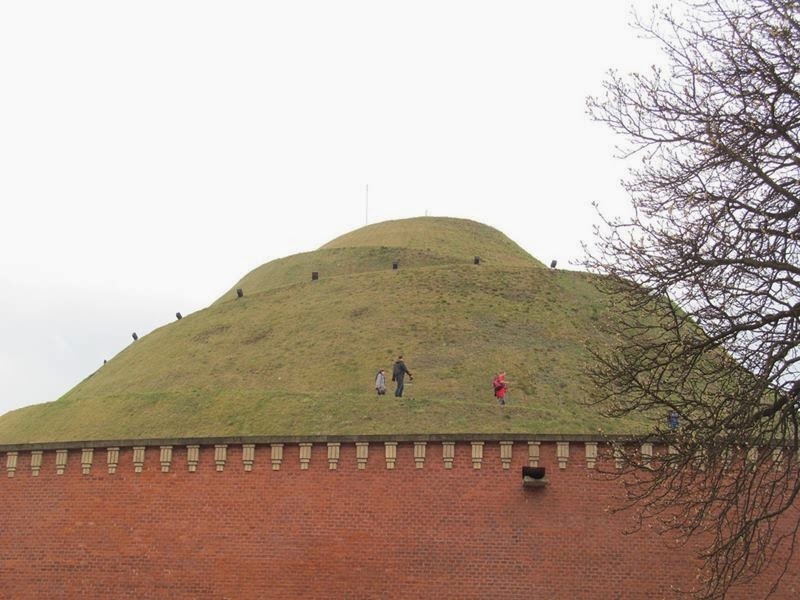 The man-made mound modeled after Kraków's prehistoric mounds of Krak and Wanda. A sinuous path leads to the top, approx. 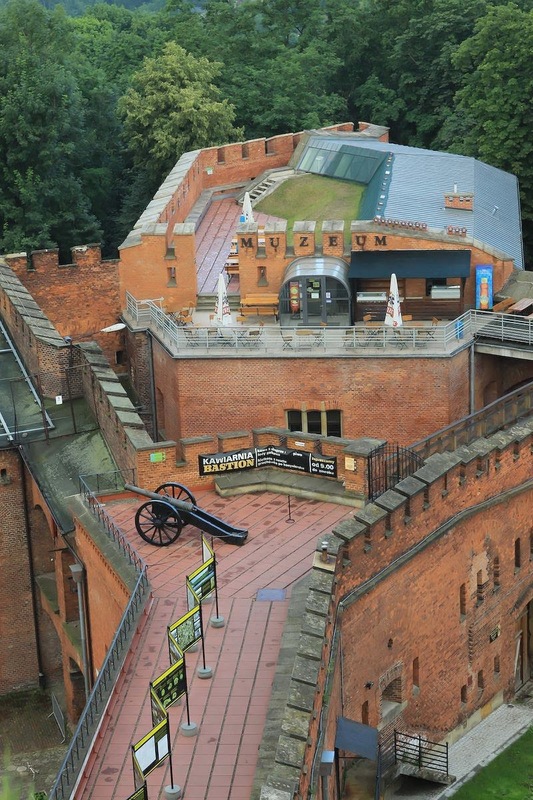 326 meters or 1,070 ft above sea level, with a panoramic view of the Vistula River and the city. It was completed in November 1823. 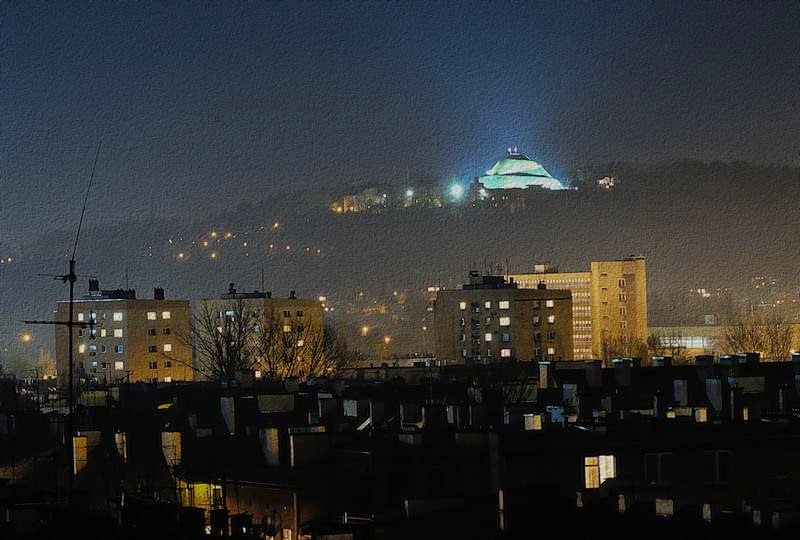 The location selected for the monument was the natural Blessed Bronislawa Hill "Wzgórze bl. 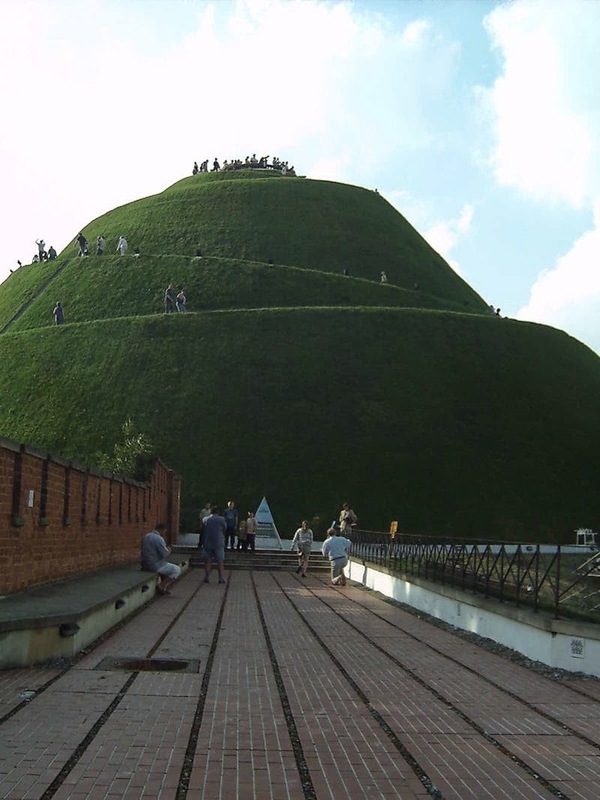 Bronislawy", also known as Sikornik at the height of 34.1 m, situated in the western part of Kraków's Zwierzyniec District. 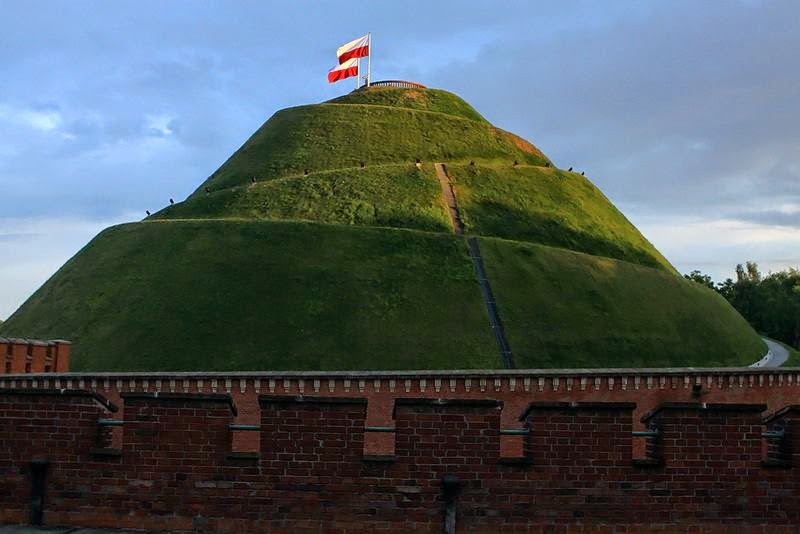 It is one of Kraków's four mounds. 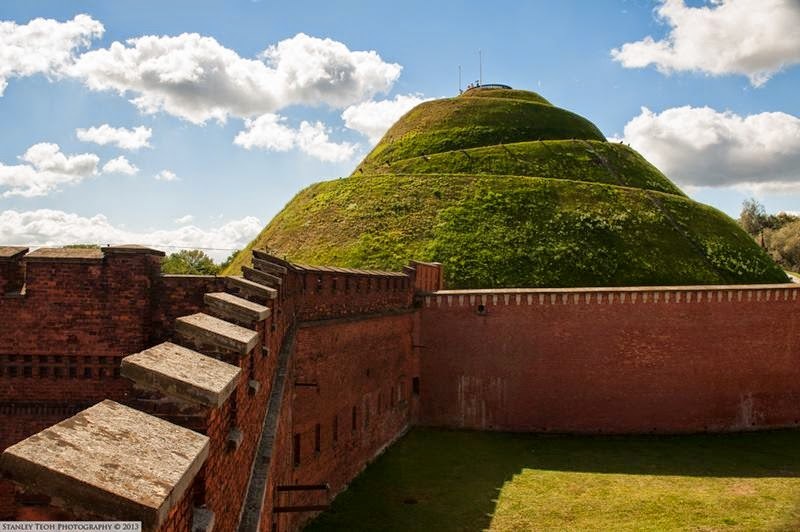 Kosciuszko Mound with a base diameter of 80 meters, 8.5 meters in diameter at the apex and 34.1 m in height. 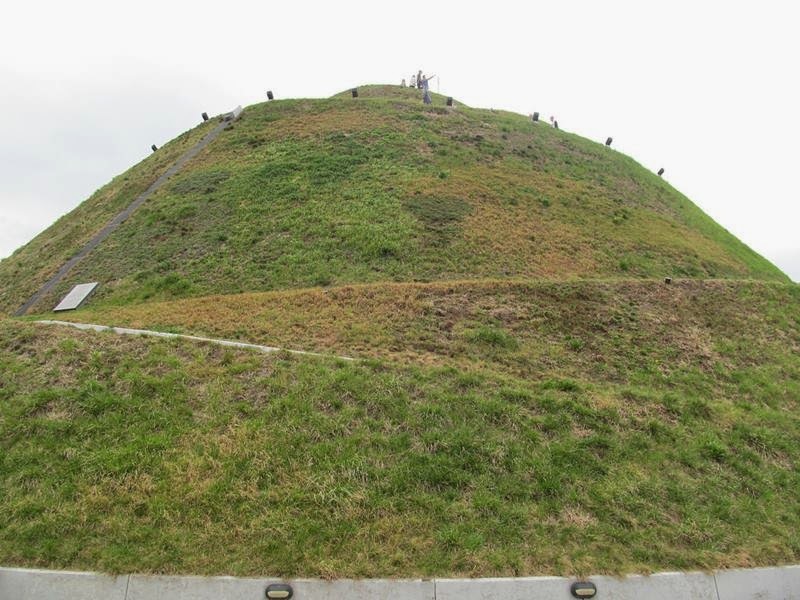 At the base of the Mound, the Founding Act was deposited in a glass and marble case. 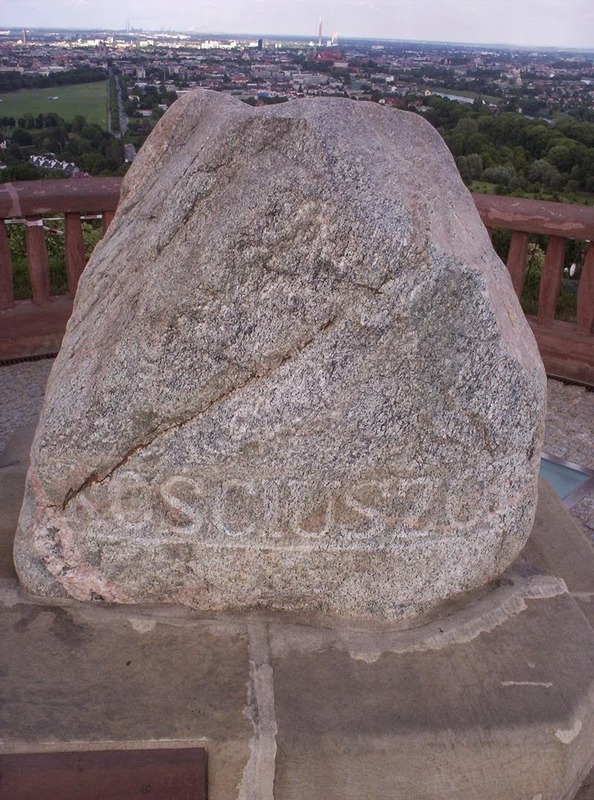 At the top, a granite boulder, brought from the Tatra Mountains, was placed, bearing the inscription “Kosciuszce” (To Kosciuszko). 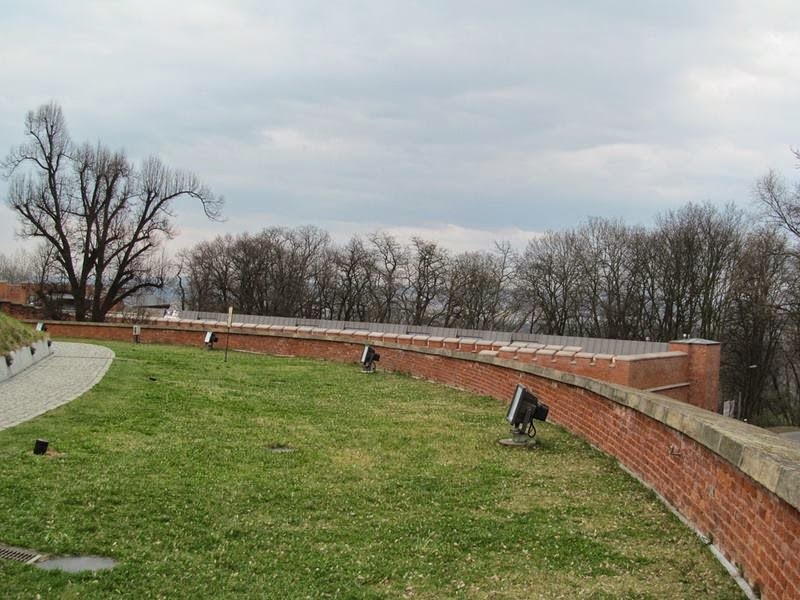 Inside the mound, urns were buried with soil from the Polish and American battlefields where Kosciuszko fought. 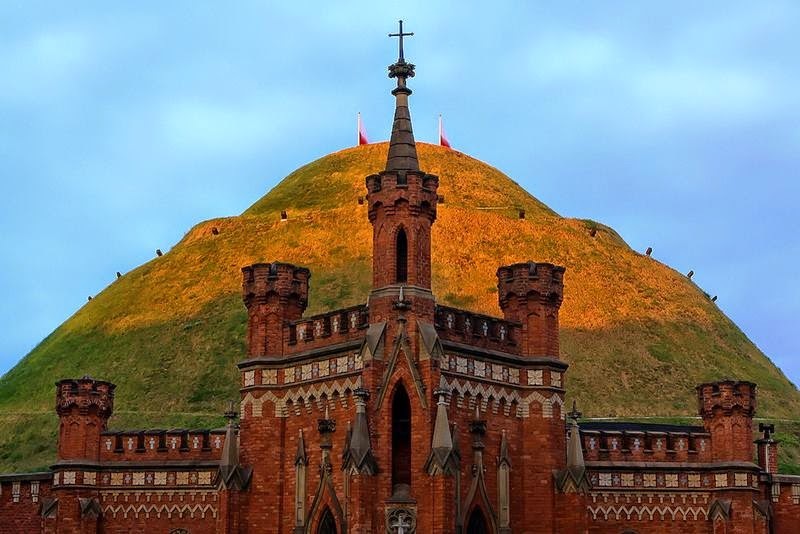 In between 1850 – 1854, the Austrian authorities built a brick bastion around the Mound and began using it as a strategic lookout. As compensation for an earlier historical church that had been demolished, a neo-Gothic chapel of Blessed Bronislawa was also built. 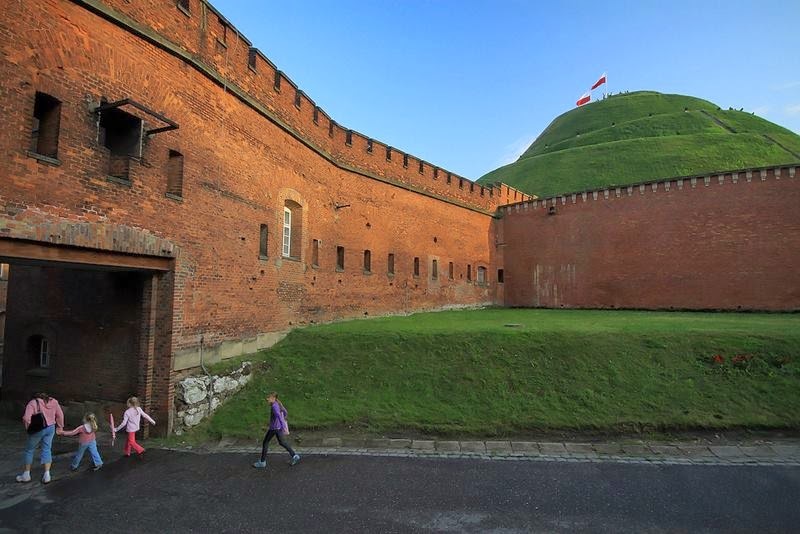 However, the Austrian fortifications, including the gateway and the south-western rampart and entrenchment were eventually dismantled following World War II, between 1945 and 1956.